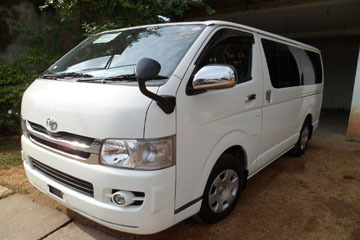 We have a range of Luxury seats which ideally matches for your Toyota KDH Van, specially suits for the ones who engaged in Tourism business. Just have a visit to our showrooms and choose whatever product matching to your requirement. 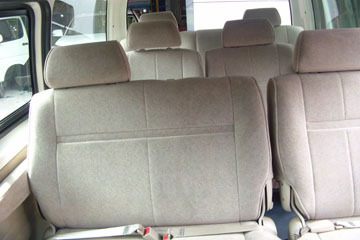 Our experts will help you to get the right decision on your any kind of vehicle interior requirement. Toyota KDH is a fantastic commercial van, mainly for its reliability and performance. It’s got plenty of power to haul a big load up the hill, and easily sits on the freeway speed limits up big hills. It’s got plenty of space in the back, and with the cargo barrier, I can fit lengths of stuff up to 2.8m I think. The cabin is spacious enough for what you need to do, and with the cargo barrier, there is enough room behind the seats to put stuff and a small Esky. Only have 8000kms on it so far, so can’t comment on long-term reliability, but it’s going great for me so far. This is my first commercial van, so take that into consideration while I mention the following. I find the ride to be bumpy, but the front seats are directly over the front wheels. And you have to go really slow over speed humps, unless you want a couple of big jolts. Getting in and out is a bit awkward. I find the iLoad easier to get in and out of. Without anything in the back, i.e no carpet, equipment etc, it is a little noisy, but that’s what you get with a diesel. I get a small clunk from the rear suspension when turning into some driveways up a slope. Had that since day one, but it has never affected anything. Knee room in the cabin for the driver and anyone tall in the passenger seat is next to nil. I’m 182cm, and wouldn’t want to be any taller, but I do fit. Would definitely suit a small Japanese guy better. It has a reversing camera, which is absolutely fantastic. I love it, and it lets me reverse really close to other cars/objects, and has saved me from reversing into a couple of things already. I do have a technician’s step on it, so that would be the first thing to take the brunt anyways. Overall it’s a great van. Performance is good, steering is good, ABS works a treat, but it’s a little reactive on bumpy surfaces, and I get about 10.6L/100kms. 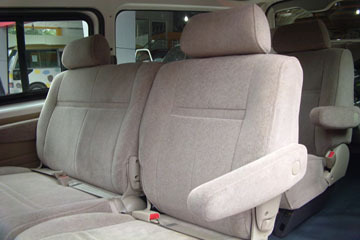 Things they could improve on are cabin room for the legs, and making it a more comfortable drive.